In New York, when you’ve filed a workers’ compensation claim, the Workers’ Compensation Board may schedule a hearing. Here are some frequently asked questions we hear about New York workers’ compensation hearings, including appeals. Q: Is there a hearing scheduled for every claim? A: No. If you file a claim and it is not contested by your employer or by the workers’ compensation insurance company, there will typically be no hearing scheduled with the Workers’ Compensation Board. A hearing is only scheduled when one of the parties challenges the claim. More often than not, it’s the employer or workers’ compensation insurance company that’s seeking to deny or diminish a claim. However, an injured worker may also request a hearing to dispute an awarded claim. Q: What happens at the scheduled hearing? Q: Can I represent myself at the hearing? A: The law does not require that you be represented by an attorney, but you will likely be at a distinct disadvantage if you try to handle the matter yourself. You can expect that your employer and/or the workers’ compensation insurance company will have a lawyer there. In addition, you cannot expect that the workers’ compensation judge will help you through the process. Q: What are your options if the Board denies your claim? 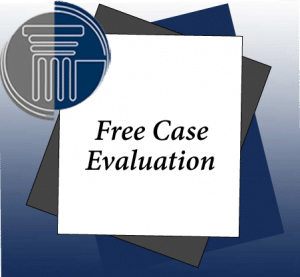 A: You have a right to file an appeal of the workers’ compensation judge’s decision, but you must do so within 30 days of the date the decision was filed (not the date you received it). Your appeal must be in writing and must specifically request a review of the Board’s decision. If your initial request is granted, you will have a hearing before a panel of three members of the Workers’ Compensation Board. The panel has a number of options—the workers’ compensation judge’s ruling may be affirmed, overruled or modified. The panel may also send the case back to the workers’ compensation judge for further review. If the panel denies your claim (or affirms a ruling on behalf of your employer/the workers’ compensation insurance company), you can appeal that decision to the full Workers’ Compensation Board. Appeals from the full board are made to the Appellate Division of the Supreme Court of the State of New York. At Pyrros & Serres, our attorneys have combined to provide more than 50 years of experience to injured workers throughout Queens and the greater New York City area. We built our successful practice on a commitment to personal service and attention, listening carefully to learn the specific details of your case, as well as your goals, so that we can tailor our efforts to get the results you want. Because of our reputation for hard work and success, we receive many of our new cases as referrals from doctors, lawyers and satisfied clients.